Benedictine…. Mention it to most people outside the Louisville area and chances are they’ll have no clue what you’re talking about. Here, though? We’re familiar with the rich, somewhat salty, somewhat sweet spread that makes even something as simple as a water cracker or a slice of pumpernickel seem elevated. 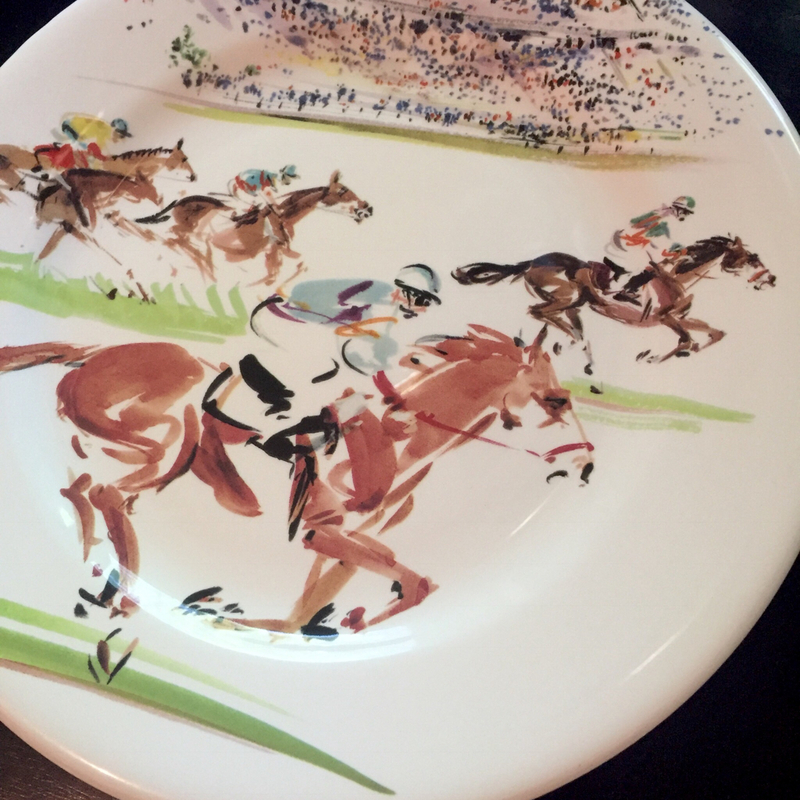 Generally associated with the Kentucky Derby, and showing up on menus everywhere here locally as soon as Winter weather breaks, we’ve been known to keep Tupperware tubs full of it in the kitchen anytime the weather sits above 60. 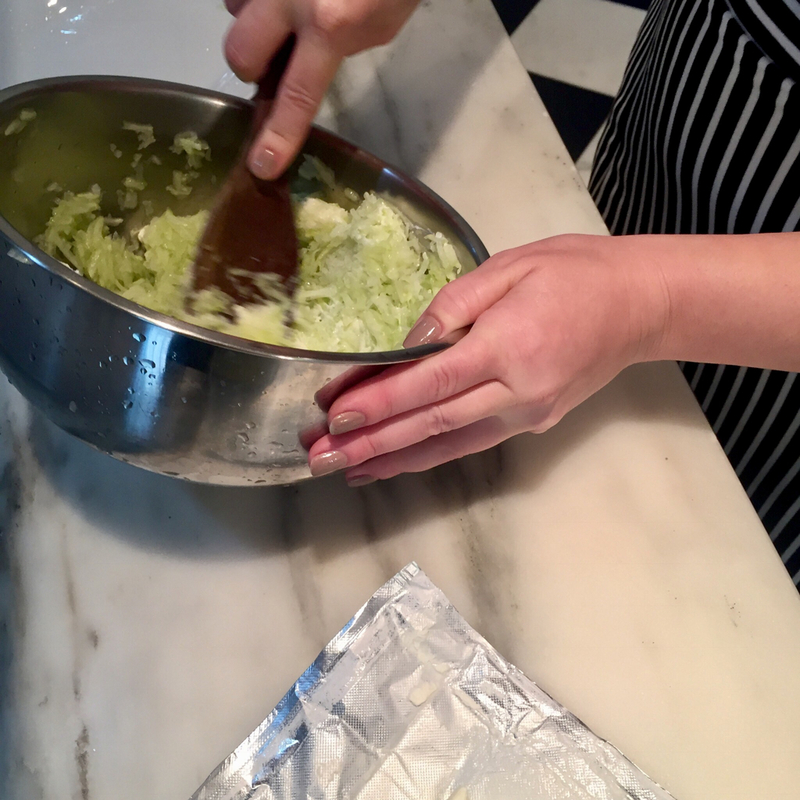 I’m not a fan of the green food coloring or green tobasco that some choose to use in order to achieve a more green sheen, rather, I let the simple ingredients to the talking, and play the flavor adjusting by ear. Peel and seed 1 or 2 English Cucumbers, then grate on a box grater. 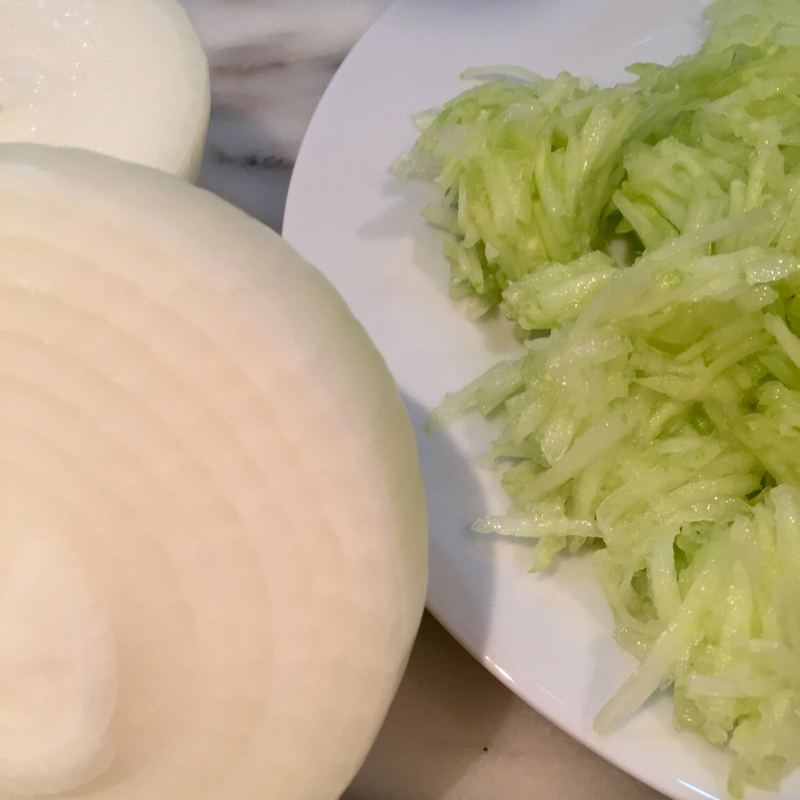 Peel a small to medum sweet onion (depending on how much you love onions), and grate as well. Add both to a strainer and squeeze out as much moisture as possible, blotting with paper towels if needed. 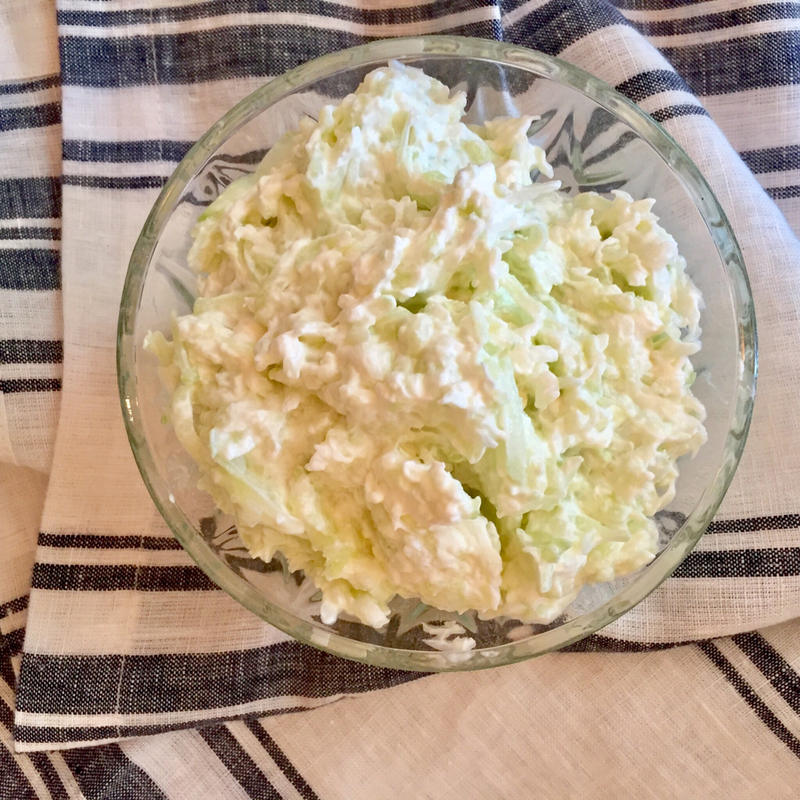 Combine the shredded veggies with up to 8 ounces of full fat cream cheese, and add a tiny bit of sour cream to make spreadable, if needed. Add salt to taste. 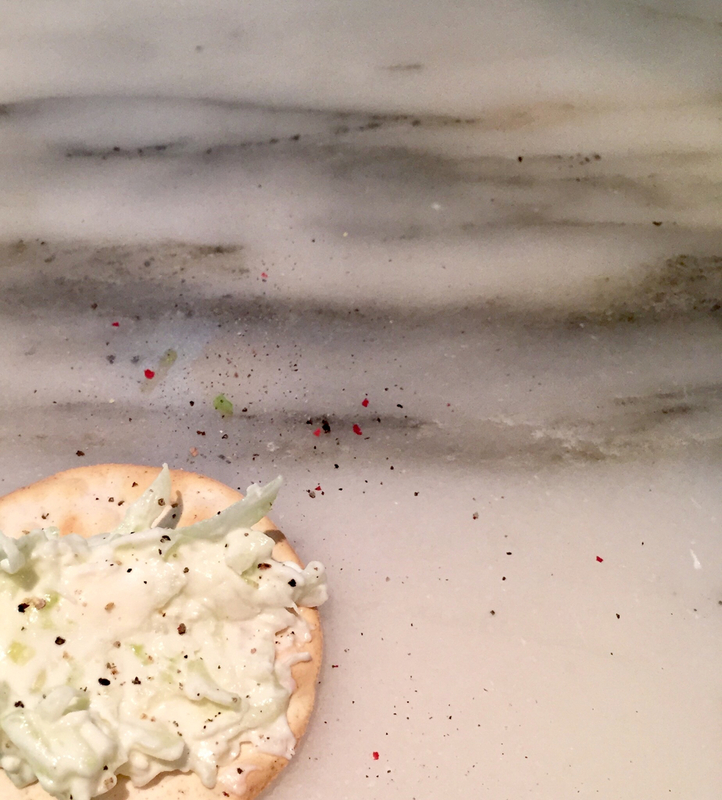 Spread on your favorite food delivery method. I prefer Carr’s Water Wafers, while the man likes the mini Pumperickel loafs. 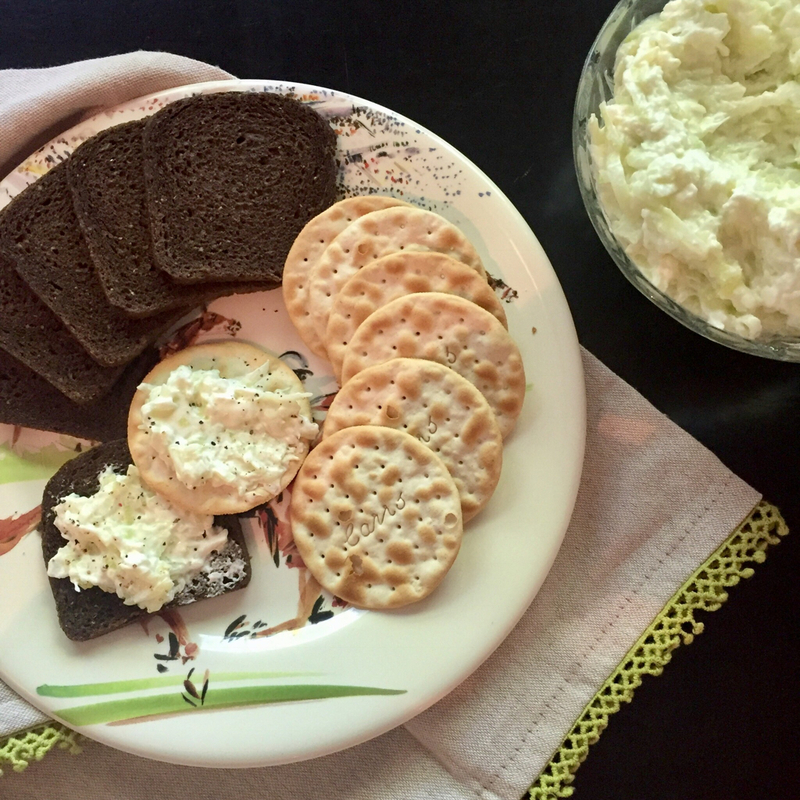 Top with a sprinking of freshly cracked black or white pepper, if you choose, and if possible, serve on your favorite Kentucky Derby- themed plates to make the simplest of spreads seem a little fancier.